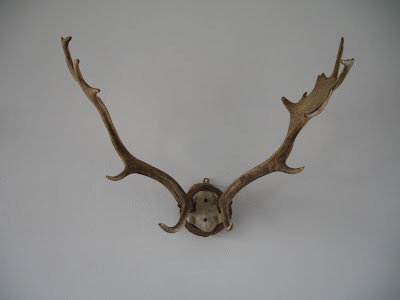 We found these elk antlers in an antique shop in Ramsgate. 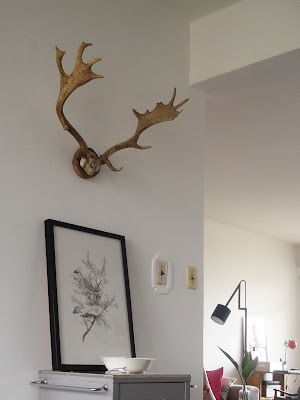 They are up in our entrance/dining room area, and if you look in the mirror on the opposite wall, you can have antlers growing out of your human head. It's pretty cool. Thanks Mr Elk. 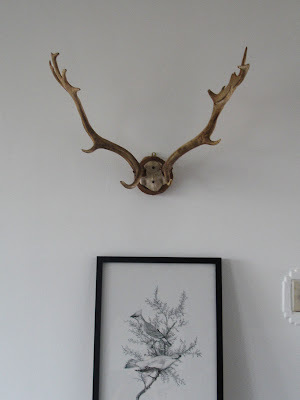 I hate to think that you died at the hands of some cruel hunter, but your antlers look pretty good in our house. Is that a terrible thing to say? I absolutely love your blog! Your posts are really fun and inspiring. Keep it up! You have inspired me to dust off my camera and start "living" through my lens again. Thanks so mucj Jo. i'm so glad to hear that. maybe one day when i get a grown up camera i'll take better pictures.